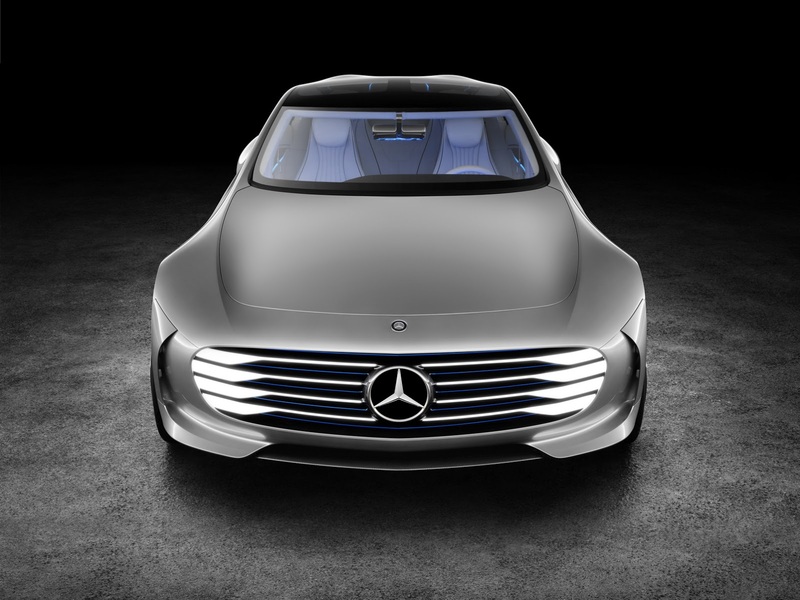 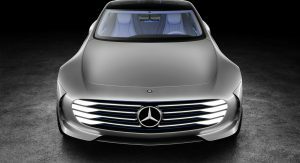 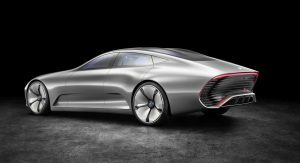 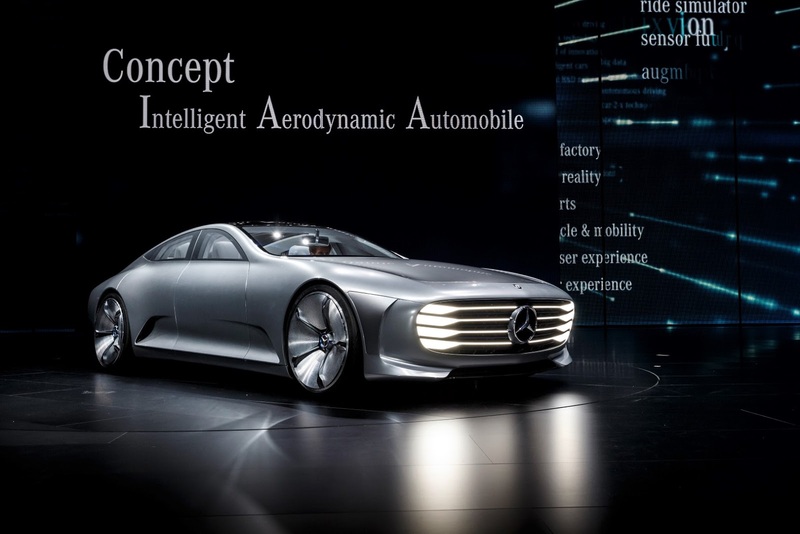 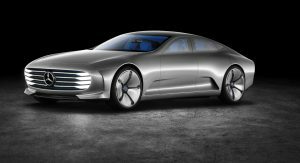 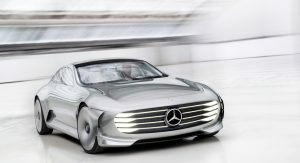 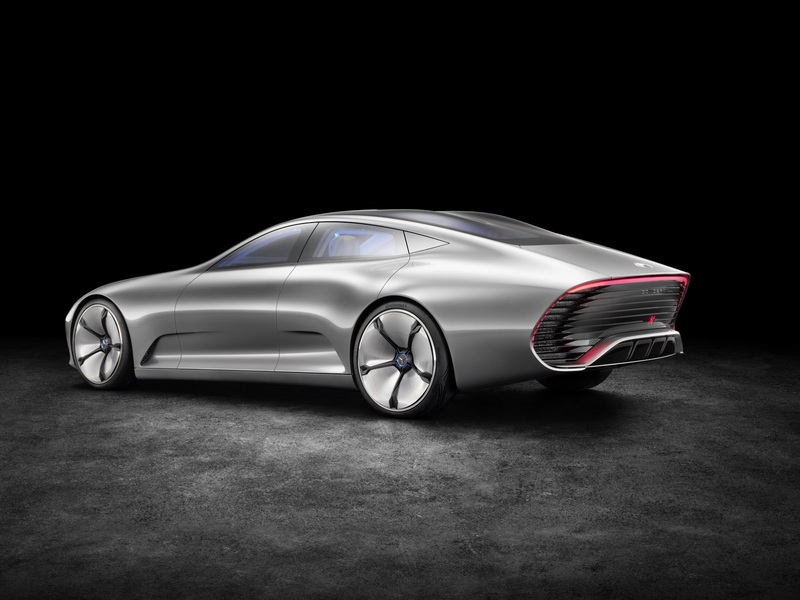 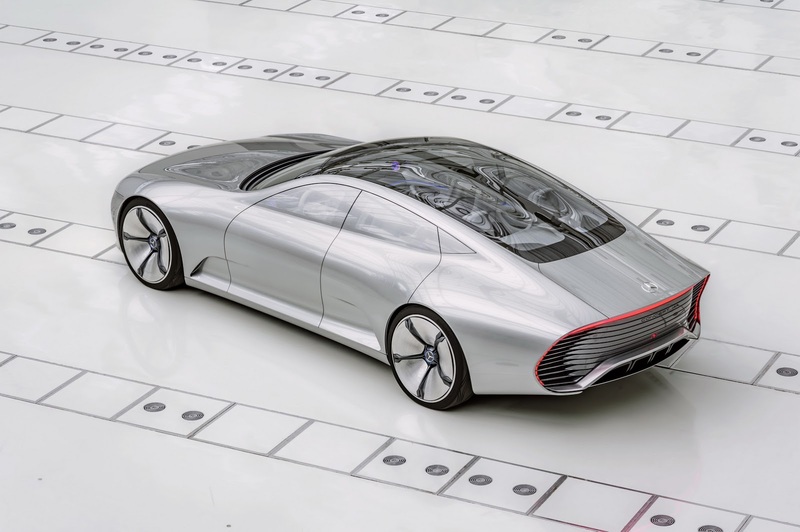 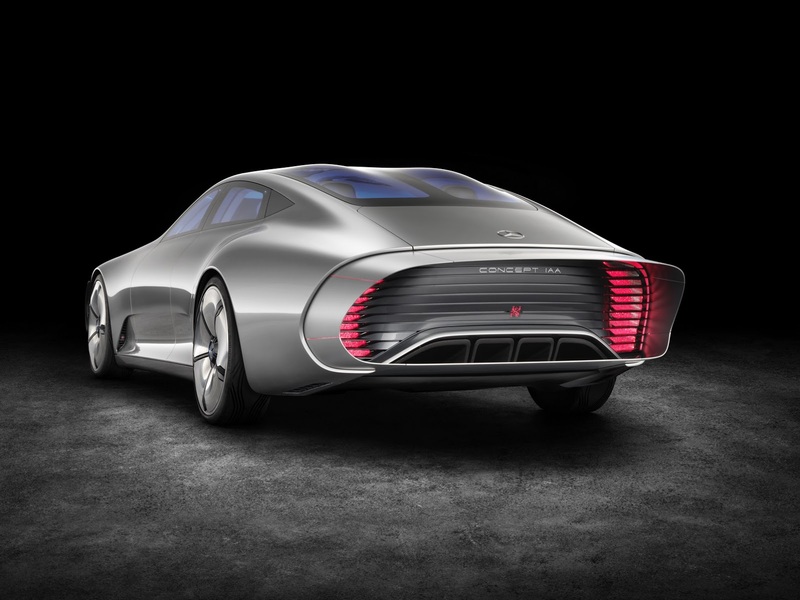 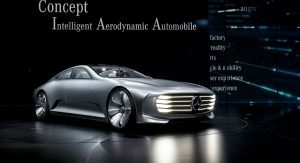 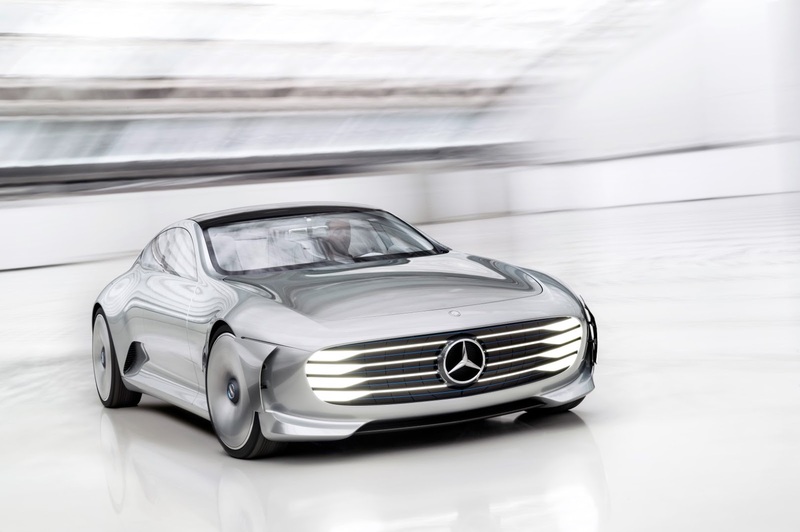 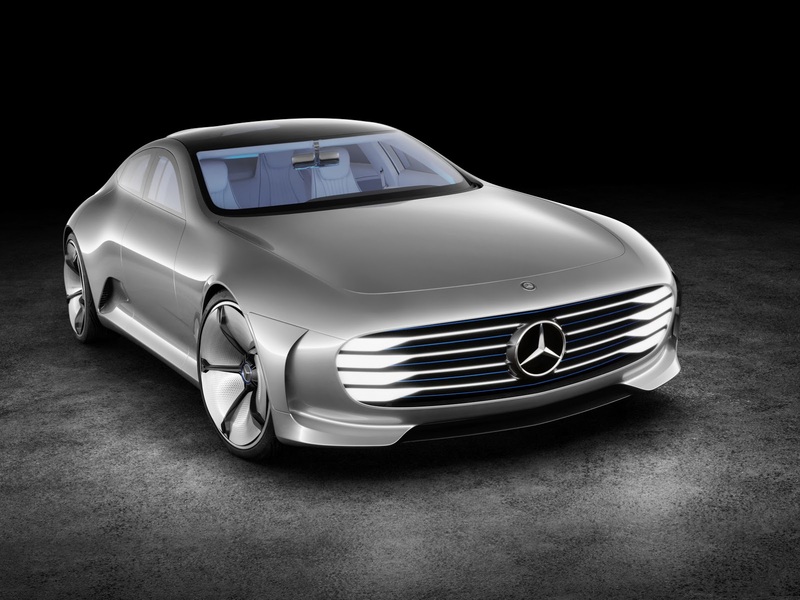 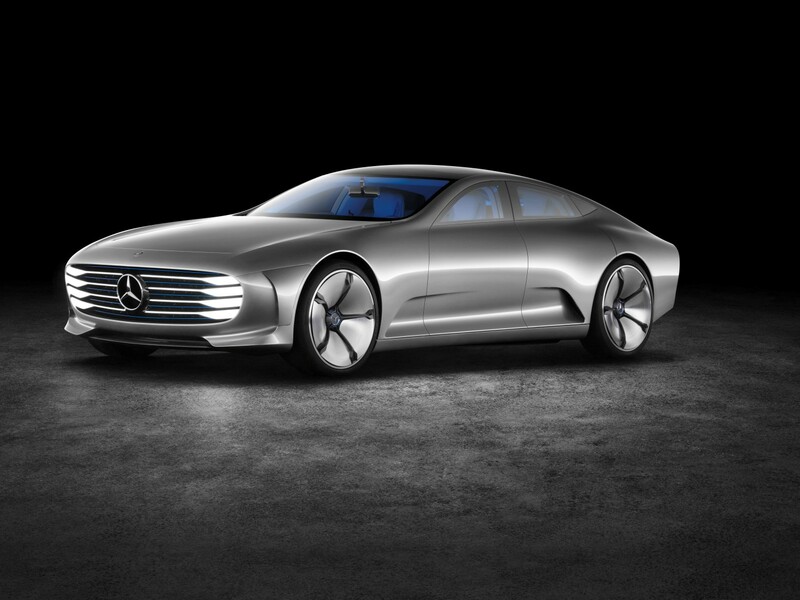 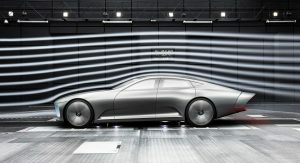 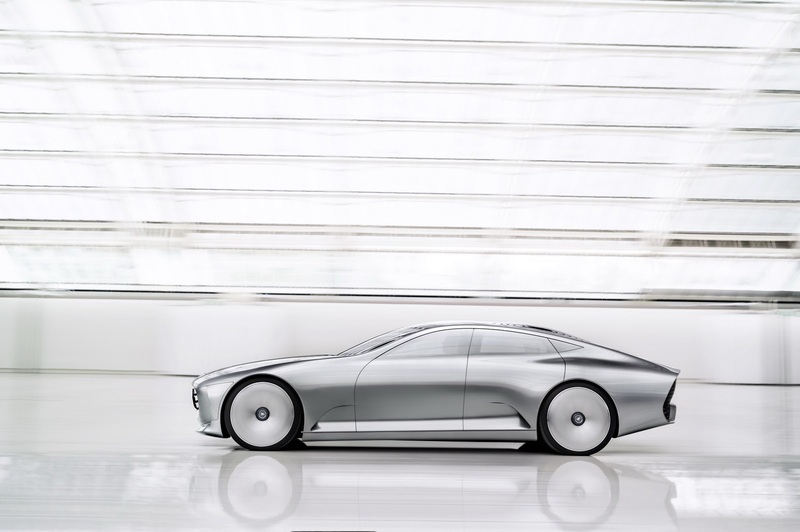 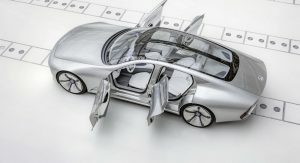 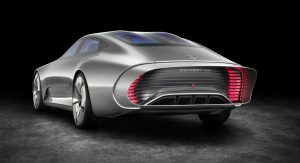 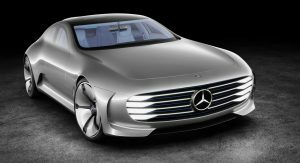 A new sleek concept from Mercedes named the IAA for ‘Intelligent Aerodynamic Automobile’ with active aerodynamics that change the shape of its body hints at the looks of the next CLS. 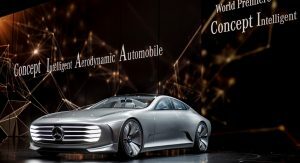 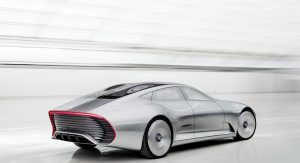 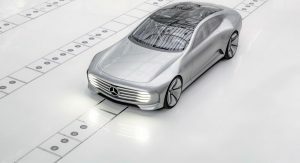 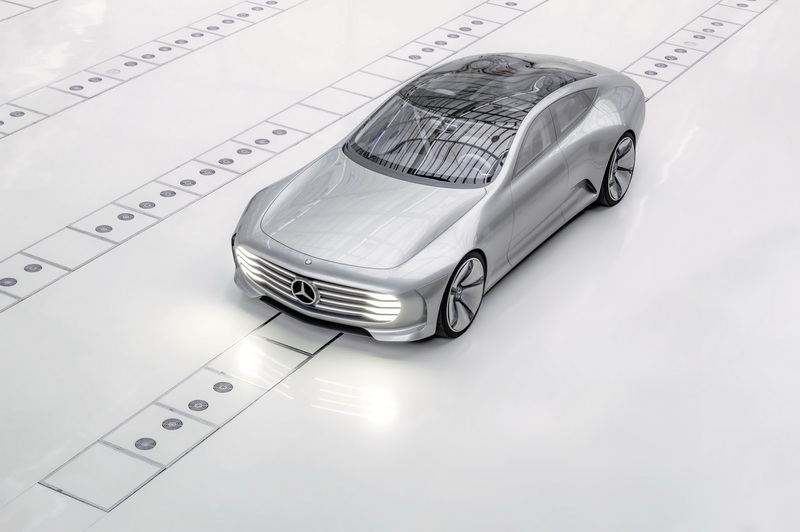 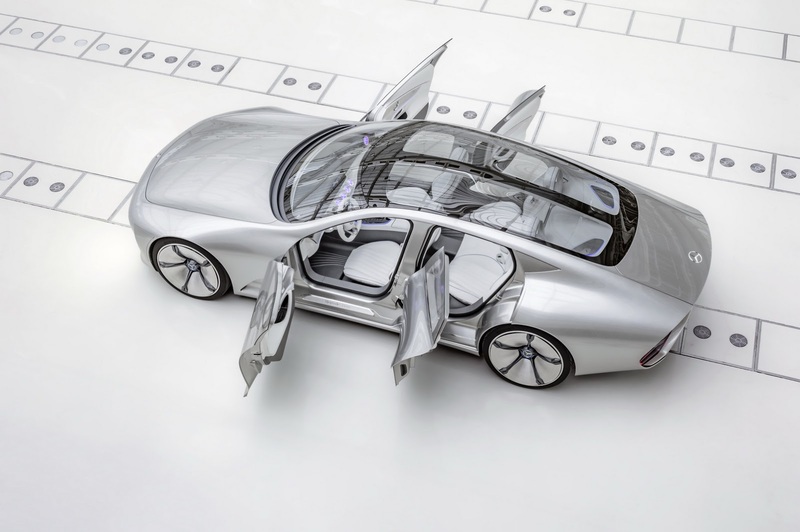 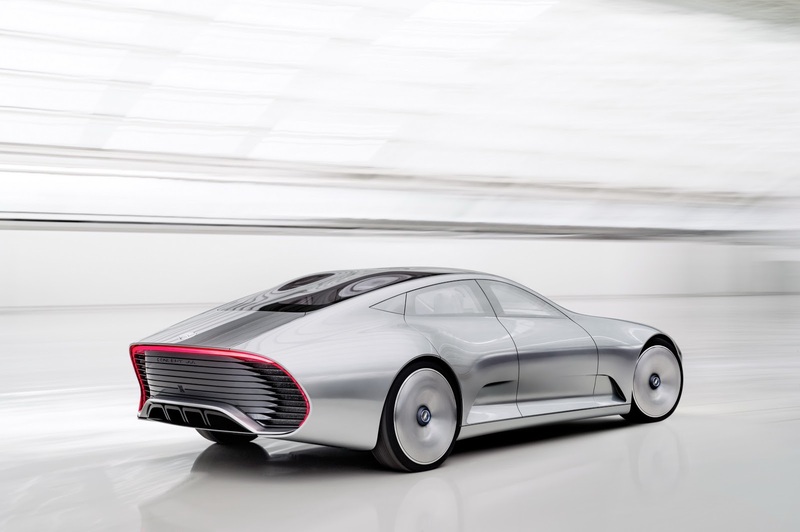 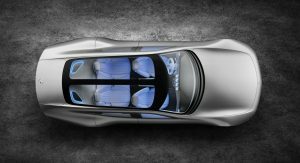 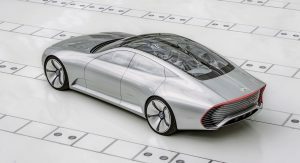 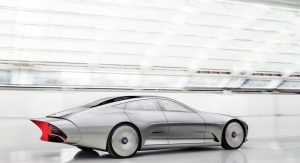 Mercedes claims that the IAA is “an aerodynamic world record holder with a Cd figure of 0.19”, partly thanks to an extendable body that automatically switches from ‘Design mode’ into ‘Aerodynamic mode’ upwards of 80 km/h (50mph). 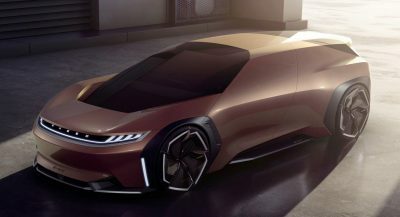 More specifically, eight segments extend at the rear, increasing the four-door coupe’s length by up to 390mm (15.4 inches), while front flaps in the front bumper extend by 25 mm (1 inch) to the front and 20 mm (0.8 inches) to the rear, thus improving the air flow around the front end and the front wheel arches. 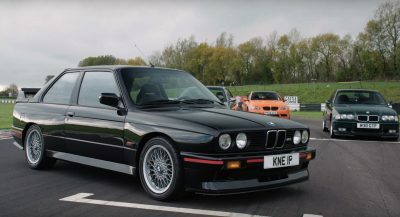 In addition, Active Rims alter their cupping from 55 mm to (2.2 inches) to zero and the louvre in the front bumper moves 60 mm (2.4 inches) to the rear, refining the underbody airflow. 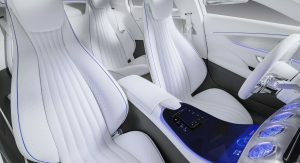 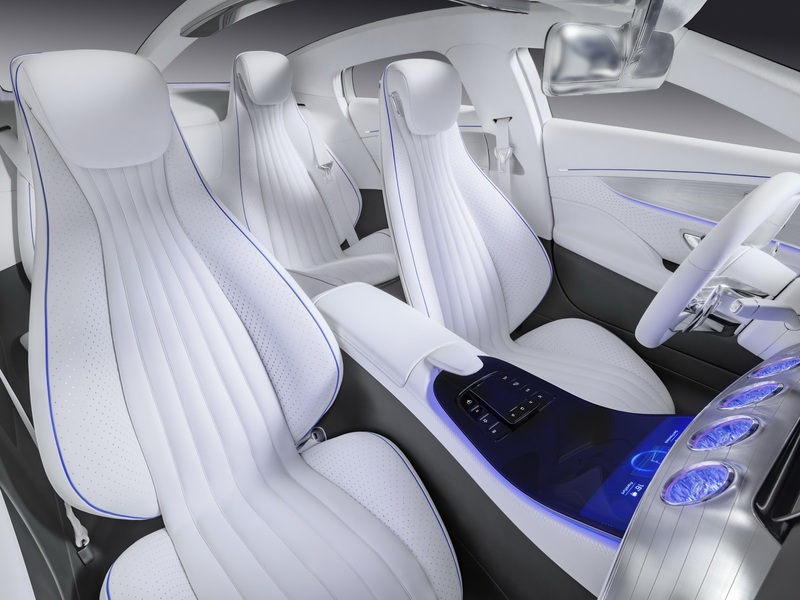 Inside, Mercedes says the futuristic interior “carries forward the design lines of the S-Class and S-Class Coupé, offering new, touch-based functionalities and a highly emotional, digital operating experience” such as the Car-to-X technology that enables the study to communicate with other vehicles or other sources of information. 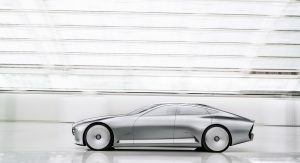 The “Concept IAA” is 5,040mm (198.4 inches) long in regular mode and 5,430 mm (213.8 inches) in aerodynamic mode, 1,995 mm (78.5 inches) wide and 1,305 mm (51.4 inches) tall, with its wheelbase measuring 2,975 mm (117.1 inches), making it about 100mm longer than the current, 2nd-gen CLS. 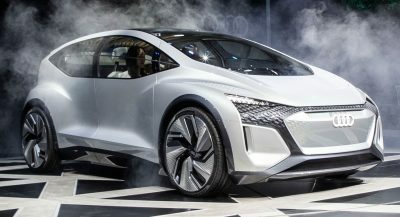 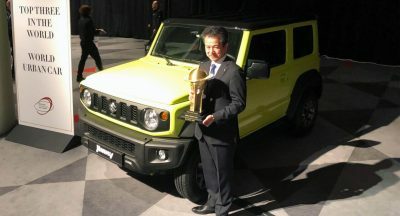 Power comes from an unidentified petrol-electric plug-in hybrid drive with a combined output of 275hp (205kW) that provides an electronically limited top speed of 250km/h (155mph). 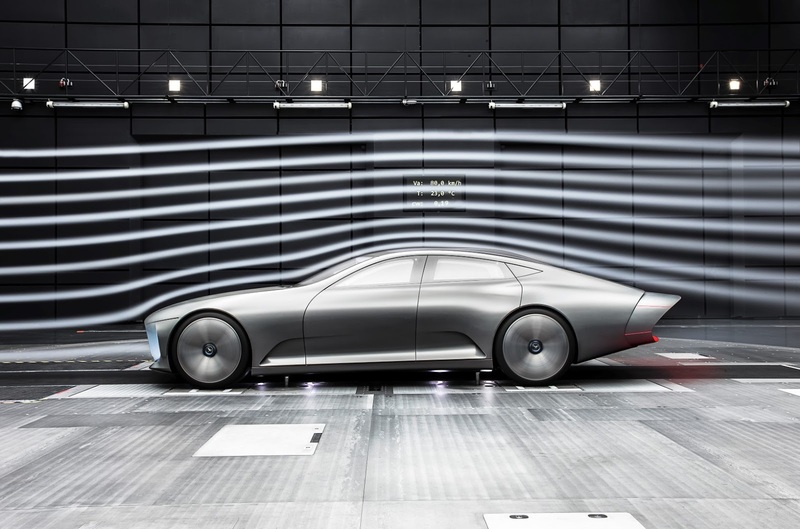 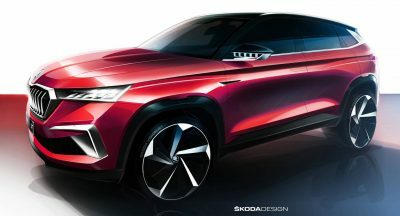 In ‘Design mode’, the IAA has a driving range of 62 km (39 miles) and CO2 emissions of 31 g/km, which improve to 66 km (41mph) and 28 g/km respectively in ‘Aerodynamic mode’. 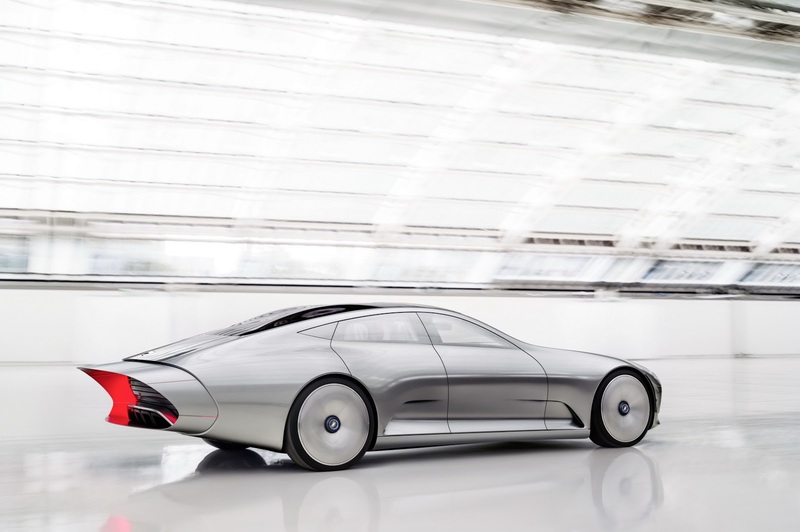 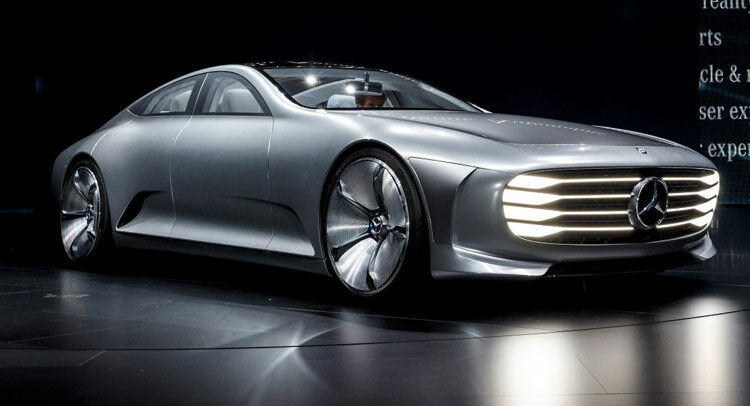 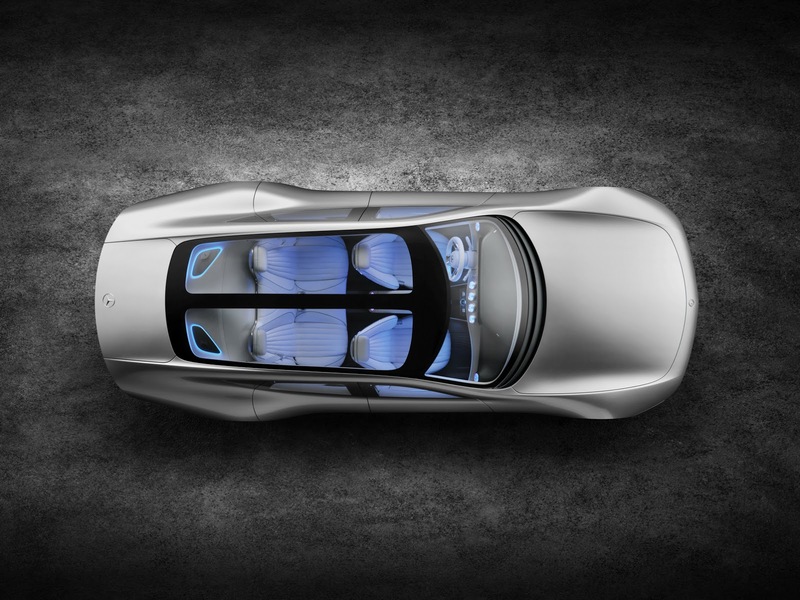 We’ll have more about the IAA Concept from the Frankfurt Auto Show on Tuesday.